The Barbuda Collection is known for its luxurious and traditional style and even more widely known for it's lifetime durability. Westminster Teak exceeds expectations by ensuring that each piece of teak furniture is precision engineered from the finest grade of Eco-Friendly teak wood to ensure it lasts a lifetime. Lifetime Warranty. 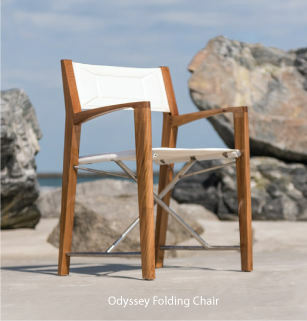 The Barbuda Collection features some of our best selling folding chairs, folding tables, our popular folding stool and our award winning steamer that Quality was Rated "Best Overall" by the Wall Street Journal.